Prima Kilma started out in Germany in 1996 and has fast become a leading distributor worldwide in horticulture carbon filters. Their range is based on high quality products produced by highly qualified professionals. All of their products are manufactured and tailored to suit growing hydroponically. In addition to carbon filters they also supply lighting, hydroponic systems, cool tubes and fans. 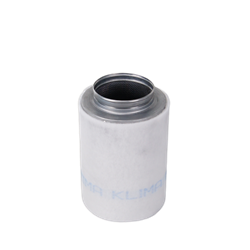 With a typical lifespan of 12 - 18 months, these Prima Klima Carbon Filters offer excellent value for money. 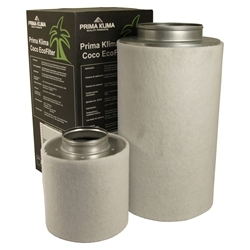 Prima Kilma Professional Carbon Filters will remove unwanted odours from your growing space, whether you are growing chilli peppers, orchids or your favourite herbs and spices, the escape of grow room odours and plant smells can become a serious problem. The only truly effective way of dealing with this issue is to use a decent, fit for purpose Carbon Filter as part of a complete extraction/filtration system.